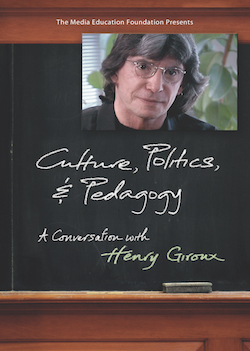 "An active citizen," Henry Giroux observes in this provocative interview, is "somebody who has the capacity not only to understand and engage the world but to transfom it when necessary." The prolific educational theorist speaks passionately about the thin line between education, civic engagement, and social justice; talks candidly about the influence of his friend and mentor Paulo Freire, the Brazilian scholar of progressive education; and advocates for a pedagogy of liberation that challenges inequality and authoritarianism. Essential for education and cultural studies courses.